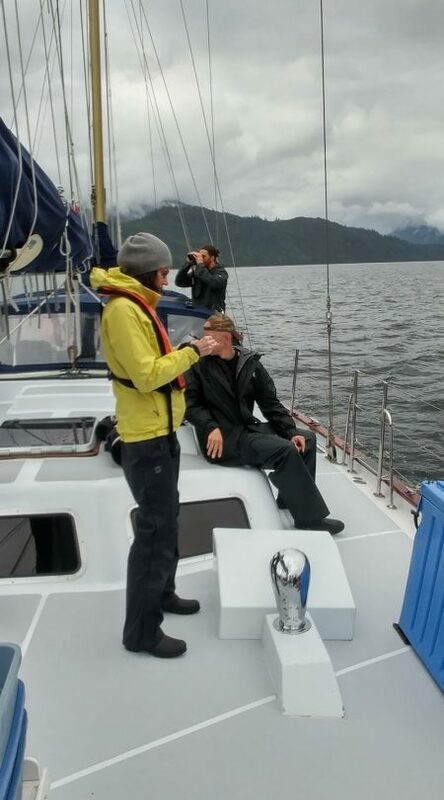 Taking notes aboard Ocean Light II in BC’s Khutzeymateen Grizzly Sanctuary. I’m a Vancouver Island writer who is inspired by landscapes—both interior and exterior. My work tends to explore nature and the environment, the arts, and relationships. I also enjoy writing about natural health topics. My travel writing has appeared in Smithsonian Magazine, and my creative nonfiction essays have appeared in Grain, The Atlantic, The Washington Post, The Globe and Mail, McSweeney’s Internet Tendency, and The Rumpus. I am a member of the Creative Nonfiction Collective, and I was one of eight writers selected from 100 applicants to participate in The Banff Centre’s debut memoir residency in 2015. I was editor-in-chief of DECOR magazine for a year and a contributing editor to Art Business News for five years. I’ve also written for Yoga Journal, The Writer, Artist Advocate, and other magazines. My poetry appears in EVENT (forthcoming, December 2017), A Verse Map of Vancouver, Quills Canadian Poetry, Sulphur III, and other publications, and I’ve won a few regional poetry awards. I hold an M.A. in writing from Maharishi University of Management. 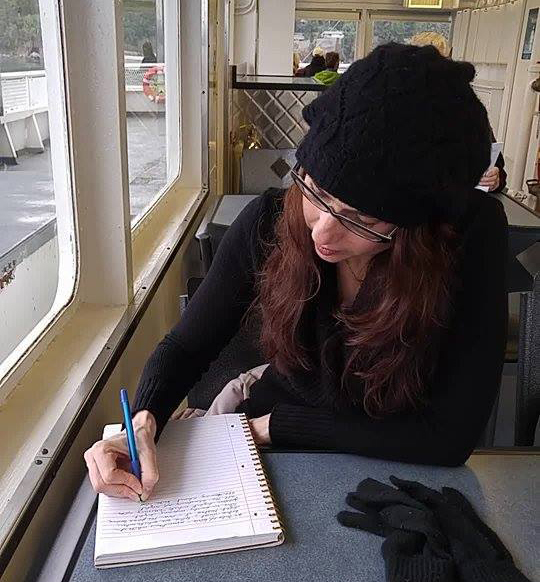 Writing on a ferry somewhere among the Southern Gulf Islands. I’ve lived in Victoria, BC, on the unceded Coast Salish Territories of the Lekwungen and W_SÁNEC peoples for nearly three years. I am grateful to be a guest in this area, and I love exploring this area and the Southern Gulf Islands. The ocean and islands offer endless creative fodder for the imagination. I put this site together to showcase my personal writing, but I also have extensive experience as a marketing writer and social media consultant. If you’d like to learn more about my marketing services, you can visit BigWaveCopywriting.com.